Educate and empower patients to take a larger role in their care. Patients who are informed about their disease are empowered to take a more active role in their own care. Empowered patients tend to have better survival rates. Specially designed classes for patients and caregivers to gain knowledge about GIST. Best practices for survival as recommended by the LRG team. A GIST Day of Learning (GDOL) is a free one day event to help patients and caregivers learn more about this rare cancer, find support, and enhance their knowledge base to help them navigate their cancer journey. Life Fest is a unique event where hundreds of patients and caregivers come together for a weekend to interact with each other and the medical and scientific communities that serve them. Stay up-to-date on the latest developments in area such as research, nutrition, mutational testing, and more with the LRG Webcast Library. Updates on the latest educational posts on GIST. 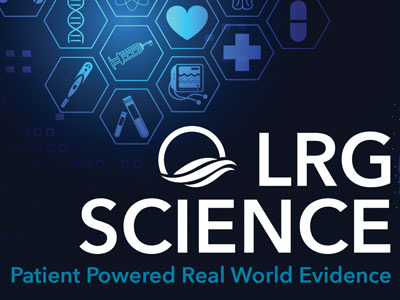 The LRG Science Bulletin covers topics concerning Real World Evidence (RWE) and Real World Data (RWD) and current GIST science. The LRG’s complete compilation of articles from the beginning. More resources beyond the LRG website.